Wondering what to do in Bora Bora? You’ve booked your trip and are ready to go, now here are some great ideas about what to do for fun when you arrive. The Island is considered by many to be the most beautiful place on earth and is surrounded by a protected lagoon that provides calm waters perfect for swimming, snorkeling and other activities. 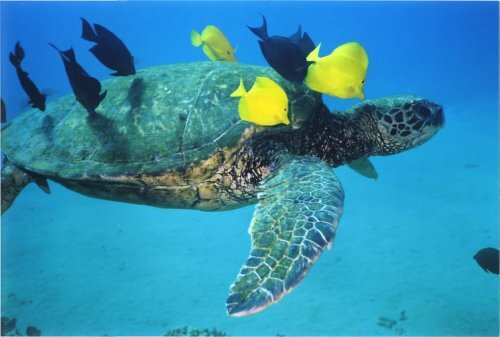 The South Pacific is host to some of the best snorkeling destinations in the world. The Bora Bora lagoon is a great place to see a number of dazzling and colorful tropical fish. Swimming in the calm waters of the lagoon is like being in a giant heated pool, surrounded by friendly tropical wildlife. Once you’re comfortable with the calm waters of the lagoon and want to experience some more adventurous activities, you can book one of the local tour providers to take you outside the reef in the deep blue Pacific Ocean where you’ll see sharks, stingrays and turtles. Bora Bora is the home of the famous dark Tahitian pearl. There are dozens of shopping areas for art, handcrafts, pearls, and fragrant Tahitian oils on the island for you to find the perfect souvenir of your vacation to paradise. If you want to do something different, the Bora Pearl Company offers the chance to dive for your own pearls. One of the best activities accessible for people of all ages to do is take a cruise on a glass bottom boat. These are good for all age groups and will allow you to enjoy the beautiful scenery while cruising around the lagoon. You’ll get a first hand look at the beautiful tropical fish from the comfort of the boat. 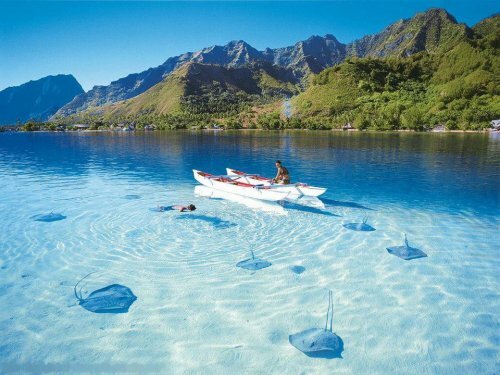 If you’re lucky you might even see a stingray or a turtle! If you’re traveling as a couple on a romantic vacation getaway, or just want to unwind after an action packed day, a massage is a good way to slow down the pace. 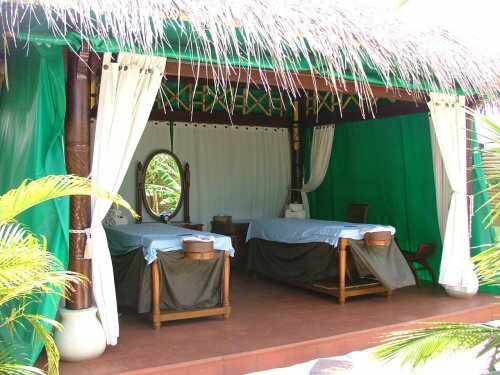 Many of the resorts in Bora Bora offer this as a service and will provide a relaxing spa experience in a beautiful tropical setting. Bora Bora is home to the famous Polynesian fire dancers. 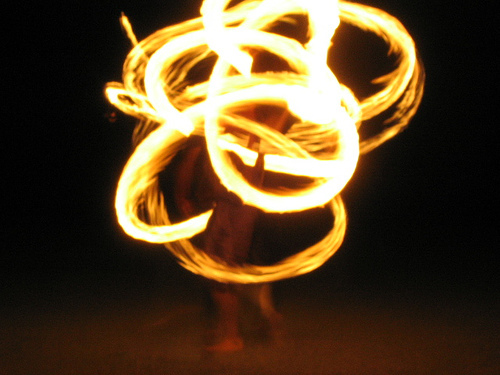 Fire dancing shows are one of the most exciting evening activities on the island and shouldn’t be missed. You’ll witness a dazzling spectacle of light and dance while enjoying a fun evening of entertainment. The dancers dressed in loincloths are pyrotechnic experts that will put on a dazzling display of acrobatic antics using flames. Going for a hike is a great thing to do when you’re feeling a bit more adventurous. 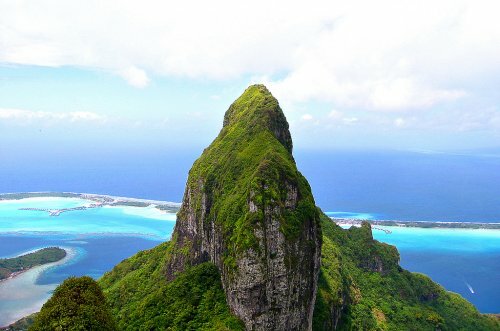 Mount Otemanu has an unusually shaped peak that reaches 728 meters above sea level. The neighboring mount Pahia is smaller but also worth a visit during your vacation. From the height of these peaks there are vantage points that will allow you to witness the full majesty of this tropical paradise. There are many opportunities here for you to get unique photos of the beautiful island and its spectacular aquamarine lagoon. Perhaps one of the most satisfying vacation experiences available in is to enjoy a meal with your loved one in a beautiful tropical setting. 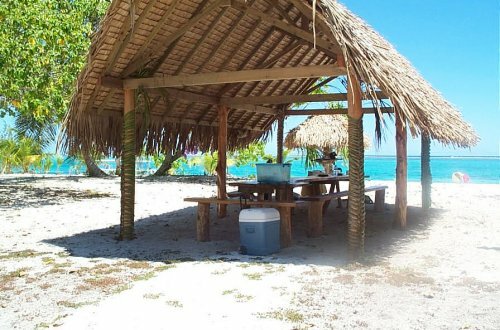 There are private beaches and islets known as Motus that can be used to organize a tropical island picnic. Many of the resorts in Bora Bora are able to arrange a private beach dinner for you if you ask them. Taking the time to appreciate the natural beauty of a tropical beach sunset is an activity that should be on everyone’s bucket list. 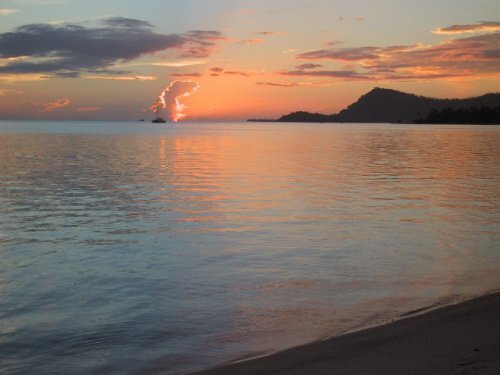 Watching the sunset from a tropical beach is spectacular and a perfect way to transition from a fun filled day to a nighttime activity like a romantic dinner or some local entertainment. For the adventurous travelers looking for thrilling things to do, parasailing is a spectacular way to see the island from a different vantage point. 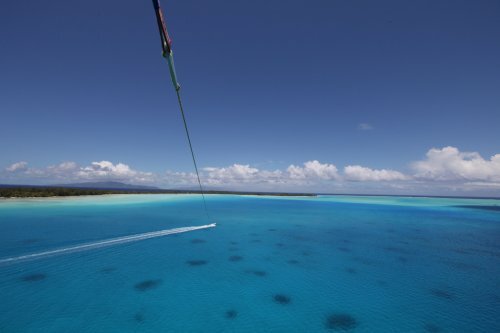 The warm winds and calm lagoon waters make for a perfect parasailing adventure that you’ll never forget. This is undoubtedly one of the best photo opportunities of your vacation, so don’t forget to bring your camera. 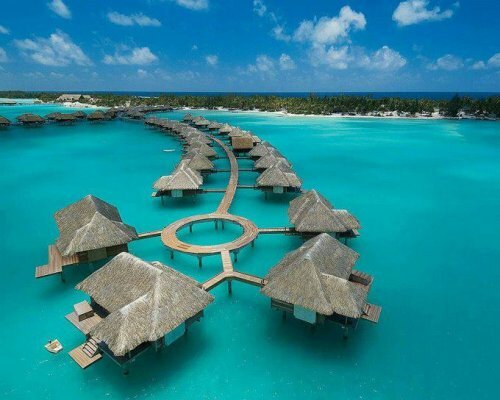 Bora Bora is famous for its over-water bungalows and is considered one of the most beautiful places for a vacation. Staying in an over-water bungalow is a vacation experience you’ll never forget and will provide you with a relaxing home base during your trip. 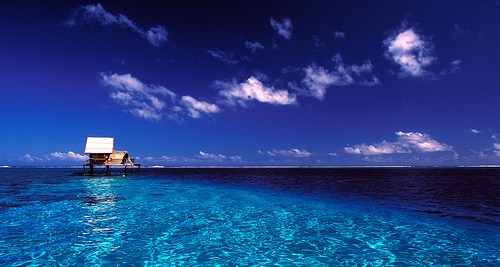 Many of the resorts provide over-the-water bungalow accommodations that range from the comparatively cheap, to very luxurious. There’s no doubt that swimming in the lagoons around your bungalow is the best way to start a fun day in paradise!